Just finished watching the episode 5, I am quite sure that the doctor Shin Yeon Hwa experimented on the young man suffering from Brunner Syndrom (MOA-A). Besides, I have the impression that our main villain will target Dr. Han Ji Woo thinking that he is responsible for his past tragedy, yet I suspect that he might have made a mistake. KHM and Jo are connected to the "injustice" done to him. I have also the feeling that Jo Young Sil who confided to the other doctor is unaware that MSA is also connected to that case as well. its quite creepy seeing the once smiley-for-love-kim jaewon smiling sinisterly now. and his appearance and killing with no mercy hasnt been totally reveal. but definitely lead to what Dr Jo and Mr Kwak were doing when Dr Han wasn't involved. Han Jinwoo will probably end up being the collateral damage from those two previous mistake. when Codas system and dr Han laptop suddenly turn on and copying whatever they have in the system , i got goosebumps all over my body. what kind of villain are we in for this season? and congrats on your engagement Dr Han Detective Kang(btw, det kang looks fab while undercover in the club ). totally hope we got wedding at the end of season. no more running away or pass out kind of ending, please. Han Jin Woo and Kang Kyung Hee are back! Yesh... so is Chief Jo! I'm also enjoying the new additions including the rather arrogant CODA head who seems to be on his own journey of self-reflection etc. There was no way I would miss this. GQ's is one of my favourite drama series in any language (I watched the first 3 seasons twice. Something I seldom ever do) and I think it's one of the most successful handling of a long-term coupling. I love those two... such a great partnership and there's a lot of depth of mutual understanding. I'd love to see them tie the knot down the track. I wasn't going to watch any more K dramas this year. Too much on my plate. But I couldn't pass up GQ. Not sure why they called it Reboot. Unless they mean something else by it, it's not really reboot. Usually that entails an entirely new cast. I'm so glad that they're continuing with the metaphysical-ontological aspect of the show. It wouldn't be God' Quiz otherwise, would it? How the human mind reconciles issues related to evil, justice and redemption, for instances. Tackling the big questions of life is what gives this show its particular flavour. Yes i was quite taken aback at the "proposal" scene but haha what else can we expect from our dear beloved Dr Han. After 8 or more years they are finally engaged!!! Their love is way deeper than most romance dramas. Love it so much. And they are such an odd but perfectly matched couple. From the rather cold and distant Det Kang in Season 1, Dr Han has loved and open her up.....to a point they can do the dying well exercise together!!! And haha of all the place to declare his intentions, Dr Han simply announced while beating up a criminal that Det Kang is his fiancee. Lol. He never even pop the question to her. Typical Dr Han....though why they never call each other by name? And i notice they use the same house (Det Kang's place) all the way from season 3.....Dr Han was staying at her place while she was away. This show is incredible in the way it keeps its continuity and character growth. RDH is perfect as Dr Han. Kim Jae Won reason has been slowly revealed. it seem he's in revenge mission on something going on welfare thingy which case fall under Mr Kwak, who over ride Dr Jo power to close the case without proper procedure. now, all that come back to hunt them. Kim Jae Won probably grew up in that welfare before managed to save himself and now he come back to finish the job. CODAS big boss seems sketchy to me. and kjw setting his eyes on dr han, . why him?!!! LEAVE HIM ALONE FOR 1 FREAKING SEASON, YOU VILLAIN! another 8 eps to go, everybody. AsianWiki wrote 16. MyDramalist wrote 12.
at this 12 or 14 or 16, i dont mind lolz. but 16 is nice. I doubt that Hyun Sang Pil is targeting HJW. It looks to me that he will use him in his revenge. First of all, we saw in the episode 7 that the computer CODAS has started learning on its own which means that CODAS is escaping from the control of Hajun and KHM. However, KHM is unaware of it. Moreover, we saw that the computer was uploading data about HJW which means that HJW could become his role model. The episode 8 revealed finally the purpose of the creation of CODAS. In reality, they want to use its technology in order to protect the company from any damage and it seems HSP is aware of that. Since CODAS is becoming "independent", it will become impossible to falsify the autopsy reports, when the cases are related to Hajun. 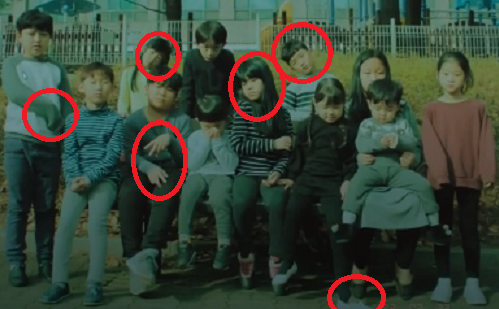 HJW is not involved in the death of these children. They were used for experiments. I believe, these children were disabled that's why they were in a welfare center. Look how some of them are holding their head, their foot or their hands. Their gestures look abnormal. Their clothes look shabby which indicates that they were not rich. In my opinion, HSP is related to one of these children and his friend and helper as well. The company tried to hide that they had experimented on them by paying KHM, the journalist and other the director of this center. Now, the company is trying very hard to ensure their safety, even if they do illegal things. They won't need to bribe a lot of people, if the autopsy can be falsified so that the injured can never get any proof and file a law suit against the company. Honestly, I hope, KHM pays for his crime and his greed. I am not sure if KHM has the intention to use CODAS against the company, once he becomes the director of that AI Medical center. HJW is not involved in the death of these children. They were used for experiments. I believe, these children were disabled that's why they were in a welfare center. Look how some of them are holding their head, their foot or their hands. Their gestures look abnormal. Their clothes look shabby which indicates that they were not rich. In my opinion, HSP is related to one of these children and his friend and helper as well. The company tried to hide that they had experimented on them by paying KHM, the journalist and other the director of this center. Now, the company is trying very hard to ensure their safety, even if they do illegal things. They won't need to bribe a lot of people, if the autopsy can be falsified so that the injured can never get any proof and file a law suit against the company. Honestly, I hope, KHM pays for his crime and his greed. I am not sure if KHM has the intention to use CODAS against the company, once he becomes the director of that AI Medical center. If it's fed with false autopsy reports as precedents, CODAS can produce another false one. It's a matter of altering its algorithms to one's benefit. also there are few moments i feel heart warming and realised and happy i am in part of long journey of thsi series...the part where dr jo look at the picture of her with dr han and detective kang make me pray and hoping the writer continues her character please never let anything happen to her as much i love dr han ji won and detective kang kyung hee i love dr jo young sil too...and when dr han and detective kang saw the moon and said something about how they now together at the moment holding hand make me recap their memory together make felt so closed with this series....and suddenly i became gready want this series continue till maybe we can see dr han and detective kang child...and got up to season 10 with the same actress and act. thank you for early recap. I cant bear to see them losing another team member after donghae died in previous season, especially dr jo. but maybe the actress probably wont be able to commit for another installment of god's quiz. they are slowly transitioning dr han relationship with that new doctor. okay. watched the latest ep raw and it scares me the last 15 mins. wtf is that thing that make Kwak paralaysed? and Kim Jae Won are quite bold for doing that on public places. and that damn CODAS. did they reprogrammed all of their system to dr han's? i mean, they specifically used retinal scanner using his camera webcam to gain access/ or give dr han, by giving a simple quiz question, access to CODAS overall system. what are they trying to do?!! and im wondering if it from kim jae won side or CODAS lady itself who try to sabotage Kwak.